Ibogaine is a naturally occurring psychoactive substance found in plants in the Apocynaceae family such as Tabernanthe iboga, Voacanga africana and Tabernaemontana undulata. It is a psychedelic with dissociative properties that has been demonstrated to interrupt substance use disorders, assist in neurological regeneration and improve psychological wellbeing. Ibogaine has been used for centuries by traditional communities, such as the Bwiti people, in West Africa for ritual and healing purposes. In the West it has been predominantly used for treating addictions, depression and anxiety, although new research is dramatically expanding the possibilities of what Ibogaine can assist with. In lower doses, Ibogaine acts as a stimulant, increasing energy and decreasing fatigue. 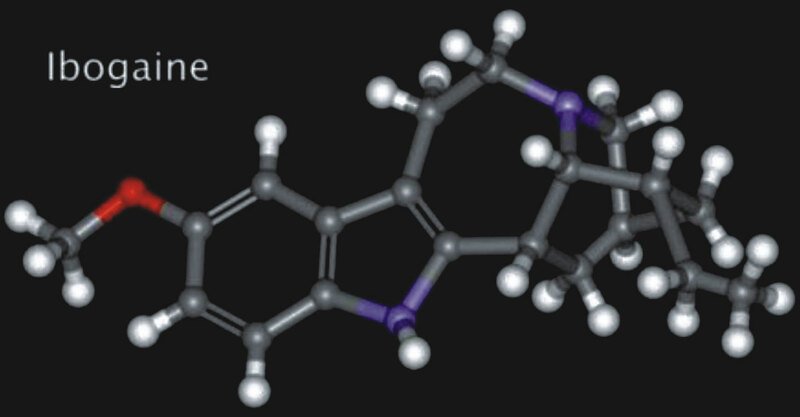 In larger doses, Ibogaine produces oneirogenic effects, meaning that it stimulates a dream-like state while awake, as well as closed eye imagery and the retrieval of repressed memories and psychological processing. Its physical effects can include ataxia, nausea and vomiting, numbness of skin, sensitivity to light and sound, tremors, and cardiac effects plus intense auditory and visual hallucinations which can last up to 20 hours on a single dose. Users will often be immobilized during the experience and experience sleeplessness for a few days after ingestion. When under the influence, people may have anxiety, physical discomfort and intense emotional distortions which can be both comforting and scary. Ibogaine is an indole alkaloid that is obtained either by extraction from the iboga plant or by semi-synthesis from the precursor compound voacangine, another plant alkaloid. The total synthesis of Ibogaine was described in 1956. Ibogaine is a psychedelic. The experience of Ibogaine is broken down in two phases: the visionary phase and the introspection phase. During the visionary phase there is a dreamlike experience which lasts for around 4 to 6 hours. The second phase, the introspection phase, is responsible for the psychotherapeutic effects. It allows people insight into their own problems and behavior, and helps them to conquer their fears and negative emotions. Ibogaine creates an altered state of consciousness much like dreaming while fully conscious and aware so that memories, life experiences, and issues of trauma can be processed. 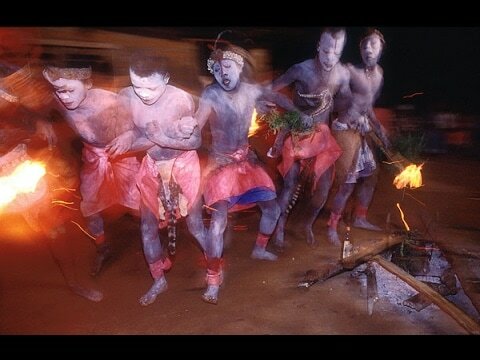 The use of Ibogaine in African spiritual ceremonies was first reported by French and Belgian explorers in the 19th century. 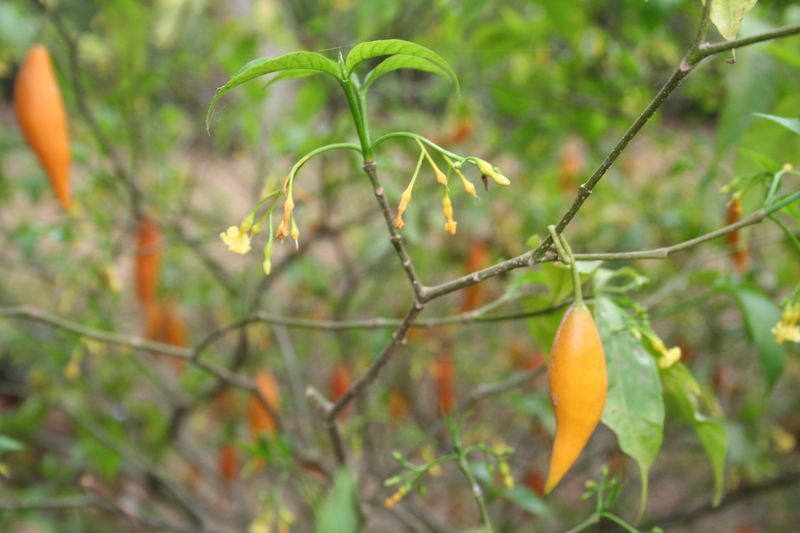 The first botanical description of the Tabernanthe iboga plant was made in 1889. Ibogaine was first isolated from T. iboga in 1901 by Dybowski and Landrin and independently by Haller and Heckel in the same year using T. iboga samples from Gabon. Complete synthesis of Ibogaine was accomplished by G. Büchi in 1966. Since then, several other synthesis methods have been developed. In the early 1960’s, the Chilean psychologist Claudio Naranjo conducted 40 Ibogaine sessions with his clients and was the first to scientifically describe the experience. He reported that Ibogaine helped people to view difficult experiences in an objective way, and that it helped to facilitate closure of unresolved emotional conflicts. The concept of using Ibogaine as a treatment to addiction came from Howard Lotsof in 1962. Lotsof, a heroin addict in his younger days, was searching for another means of receiving a high. He came across Ibogaine and shared it with five friends, all addicts themselves. But after using it, thinking it was another drug, Lotsof and his friends lost all compulsions to take more, and ultimately resolved their motives for taking drugs altogether. Following this event, Lotsof spent most of his life making Ibogaine a legitimate cure for drug addiction. He promoted it to various media channels, academics, and companies but all refused it. In 1967, the US banned it along with LSD, thinking it dangerous. Lotsof then travelled to the Netherlands, where the first clinics focusing on Ibogaine as a treatment were founded. Since then, clinics have emerged in Mexico, Canada, and South Africa. The US eventually revoked the ban in 1995 to allow experiments. Today, it is regulated in many countries, falling under the gray areas of the law. In the late 1980’s, the first regular Ibogaine-assisted detox sessions were conducted by the Danish Drug Users Union in Amsterdam. Over the last several decades a global community of Ibogaine therapy providers, which has been dubbed a “medical subculture,” has developed to include former drug users and physicians. In 2007 it was estimated that over 3,400 therapy sessions for substance use disorders, as well as for personal and spiritual growth, had been conducted worldwide. This number continues to grow annually. 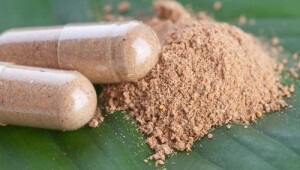 Lotsof was the first to initiate clinical trials with Ibogaine. He contracted with a Belgian company to produce Ibogaine in tablet form for clinical trials in the Netherlands, and was awarded a United States patent for the product in 1985. The first objective, placebo-controlled evidence of Ibogaine's ability to attenuate opioid withdrawal in rats was published by Dzoljic et al. in 1988. Diminution of morphine self-administration was reported in preclinical studies by Glick et al. in 1991. Cappendijk et al. demonstrated reduction in cocaine self-administration in rats in 1993, and Rezvani reported reduced alcohol dependence in three strains of "alcohol preferring" rats in 1995. The results of their studies confirmed that Ibogaine decreases the self-administration of stimulants, opiates and alcohol, as well as a significant reduction in the withdrawal symptoms from opiates. Unfortunately, the development research was ended prematurely because of intellectual property disputes, its high cost and complexity relative to NIDA’s existing resources. The Phase 1 trials conducted by NIDA found that Ibogaine is not neurotoxic. However, there are a number of fatalities that have been temporally associated with the ingestion of Ibogaine. These were attributed to a variety of factors, including pre-existing medical conditions, especially cardiac conditions, as well as seizures resulting from acute withdrawal from alcohol or benzodiazepines, and in other cases the co-administration of one or more drugs of abuse. This is why it is very important for our clients to be honest with us about their medical conditions and medication or drug use. Ibogaine-assisted detox efficacy has been explored in two recent studies being conducted by the Multidisciplinary Association for Psychedelic Studies (MAPS), attempting to track the long-term efficacy of Ibogaine-assisted detox therapy. The studies, in Mexico and New Zealand, have reported preliminary results of between 20% and 50% rate of clients remaining free from their primary substance of abuse for at least 12 months.